Find out how you can get nurse checks for your pets, covering a range of important pet health topics. The nurses at Lymm Veterinary Surgery are an integral part of the team. Many people are unaware of what a veterinary nurse does, as they spend much of their time behind the scenes. But did you know that nurses can be anything from midwives, radiographers, anaesthetists and phlebotomists to first aiders, lab technicians, bereavement counsellors and much, much more. 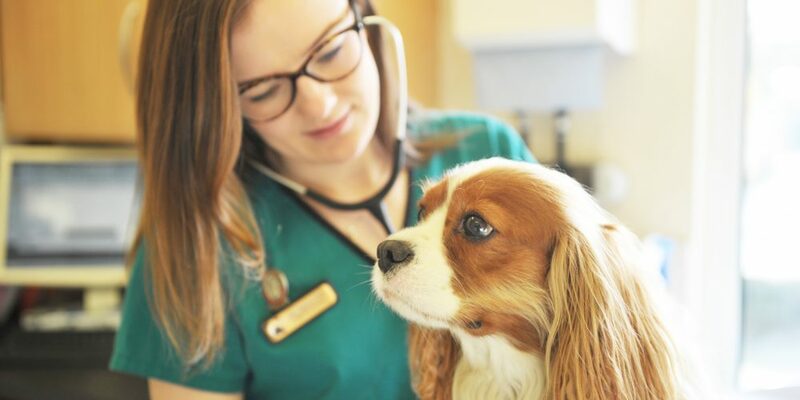 One very important role the nurses play at Lymm Veterinary Surgery is to offer advice and help for your pet in the form of clinics or sessions. Our nurses have a wealth of information and advice about animal health and well-being, so we want you to benefit. Call us now on 01925 752721 to book. Puppy Parties – welcoming a new puppy to your family can be an exciting time, but also an overwhelming one. On your first trip to the vet, there will be a lot of information to digest. We, therefore, invite vaccinated puppies up to the age of 18 weeks to attend one of our puppy parties. These sessions aim to cover vital information about puppy behaviour, socialisation and health care whilst giving you the opportunity to meet other new puppy parents in the area. Weight Clinics – Just like us, pets can sometimes start to gain a few extra pounds. At Lymm Veterinary Surgery, we are committed to fighting the pet bulge, and understand that education is the key. If your pet has been referred by a vet, our nurses can help you to understand everything to do with pet weight, from why they gain and what a body condition score is, to helpful advice and tips on how you can maintain your pets ideal weight.